It’s hard to know where to begin with what to do in Buenos Aires. With such a multi-faceted and culturally rich city comes a plethora of activities to do, food and drinks to try, tours to take, and sights to see. But, this Buenos Aires Guide gives it a damn good try. 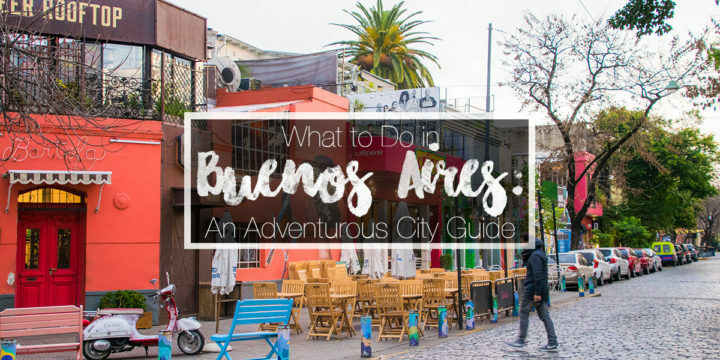 As with all my guides, this Buenos Aires City guide is tailored toward the adventurous traveler who wants to make the most of their time here in every way, and gives options for any budget. Buenos Aires is a big city, with many different areas, or barrios, to visit. It would take a well-scheduled few days to truly get a good feel for this city, working your way through its main spots. There are also some areas that are only/best reached by day tours. If you plan your time out well, you can do it all, and I’m here to help you do that. Hey guys… this guide is over 5000 words. Pin it for later? Or use my handy dandy table of contents! But First, Need Any More Argentina Info? In Argentina, they use the Argentinian peso. I’m not going to try and tell you the conversion because it is ALWAYS changing. Poor Argentina is not in a very good economic situation, and their currency is very unstable. When I first got to Argentina, it was 19 pesos to 1 USD. It jumped up to 24, then 27. So maybe it will be somewhere around there, but just know it’s ever-changing. 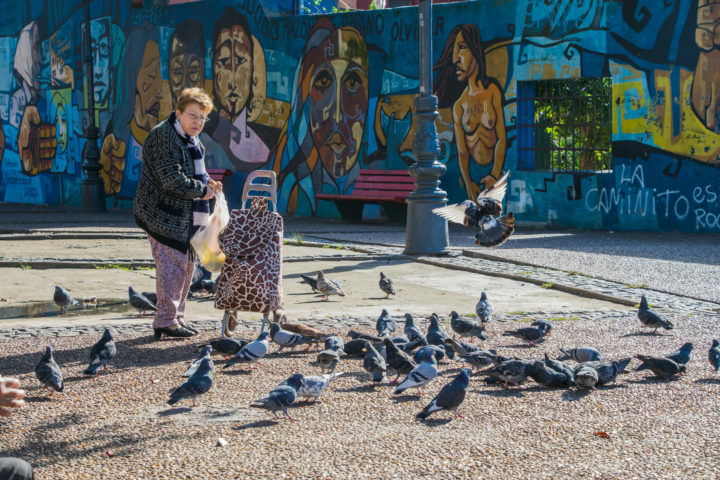 Some barrios are close to one another, but you will more than likely need to take public transportation at least a few times to get between Buenos Aires tourist attractions. To do this, you must purchase a Sube card from any metro station. Metro journeys are very cheap – like 20 pesos (less than 75c), but prepare yourself to be squished into the train like an overpacked suitcase. I took the metro at many different times of day during my few weeks there, and literally every single time it was a push-yourself-on situation. At first I thought it was just rush hour, but no, its pretty much always. As the largest financial center not only of Argentina but this half of South America, there are simply too many commuters and too little space. It is what is is. Just keep your belongings close and protected! 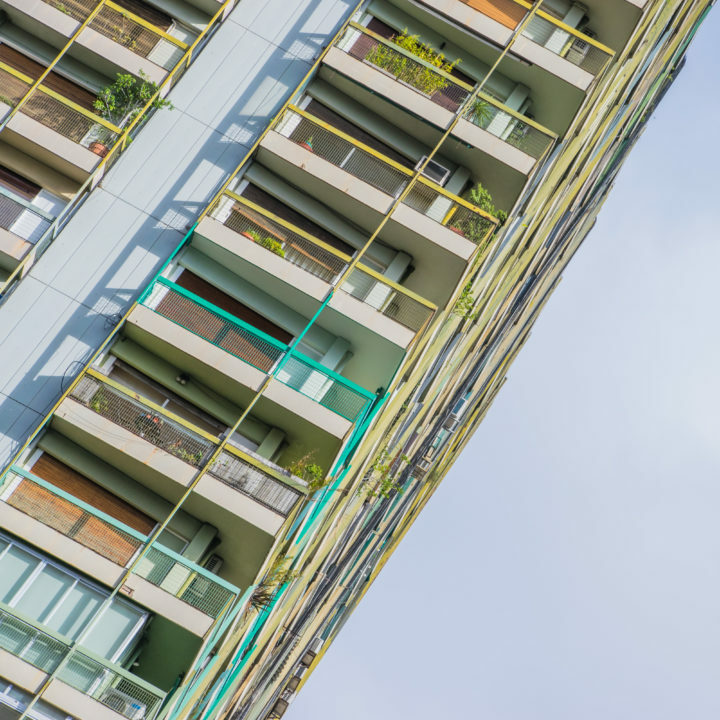 As with any big city, you’ll need to keep a close watch on your things here. This isn’t to say it’s dangerous per say, but you’ll want to mind your valuables in such a dense city and know the general travel safety tips. 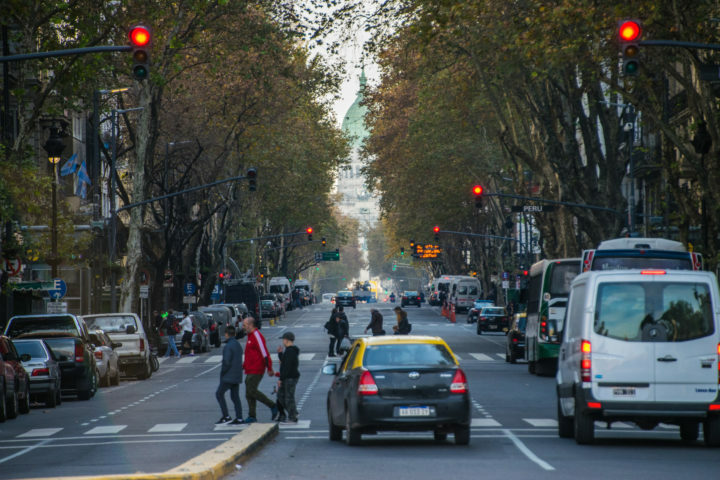 A known scam in Buenos Aires is the classic motorcycle drive-by, where someone goes by on a motorbike and snatches your backpack/camera/phone/anything they can get their hands on. Pickpocketing can also happen. I had multiple people see me with my camera around my neck and tell me to put it inside my coat. I kept it out, but always had a hand on it. The purse I take traveling has both a zipper and a snap. My backpack has zippers and I try to keep valuables at the bottom. Take normal precautions and you’ll be fine. This city has a schedule that is all upside down and backwards…. to me. By this I mean that dinner time is 9-10 (or later on weekends), and nightlife is even later. Restaurants won’t even open until 7-8pm. For going out, you might start at a bar at 1am, and you wouldn’t dream of going to the club before 3am. Clubs close at 6-7am, at which point many people even continue to afterparties into the morning. This may seem crazy at first, but like me, you may get very used to it and begin having dinner at 10pm on the daily. Something you should know about this city is that it truly doesn’t sleep – 5-6 hours is normal. Children will be playing in the square at 2am on weekends or enjoying dinner with their parents at 11:30pm. Grandparents will kick off their shoes at 6am at their grandchildren’s quinceneria when the tango music comes on. I met many Argentinians who said that if they have early work or family stuff on a weekend, they just won’t sleep. It’s a way of life. 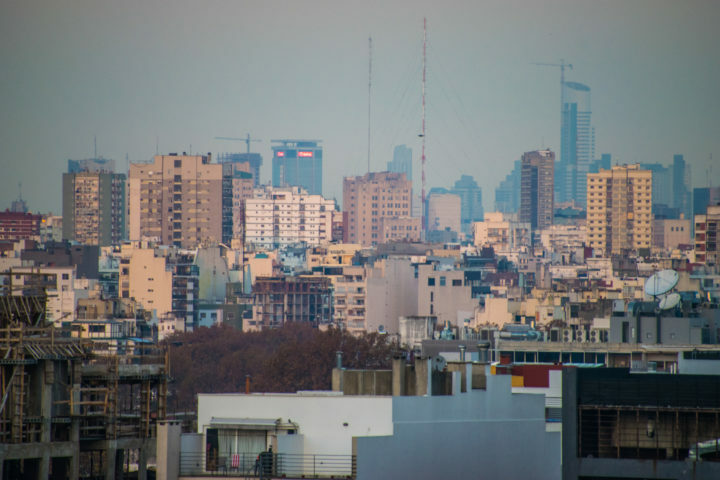 So before I start, I want to give you a tiny idea of what each neighborhood of Buenos Aires is like – to help you decide which one(s) you want to stay in, so you have an idea of what the layout is like, and so you have an idea of the surroundings when you see where a place I mentioned is. You know me – as wordy as can be – so I tried to keep this one short and sweet with a few phrases that best describe how I felt about the area’s vibe. All of these are areas you should try to visit! Southernmost. On the old Port. Used to be immigrant barrio. Known for its colorful streets + buildings. Famous for Tango. Also site of the most popular futbol stadium, Boca Jr’s. Recently Gentrified/Hipster-fied. Dive Bars. Order-at-the-counter eateries playing rock n roll. Dense city center. Corporate workers. Packed Shopping Streets. National/Political Monuments/Places. Corporate Skyscrapers. Expensive Apartments. Water (or, bay)-front boardwalk with cheap yet delicious food kiosks. Richest part of the city. Massive old mansions. European architecture. Expensive shopping malls/streets. Speakeasys. Between Recoleta + Microcentro. Sortof a mixture of both. Where the bus station is. Craft beer. Street art. Fairy lights. Trendy bars. Tree-lined cobblestone streets. Big parks. Young and hip. 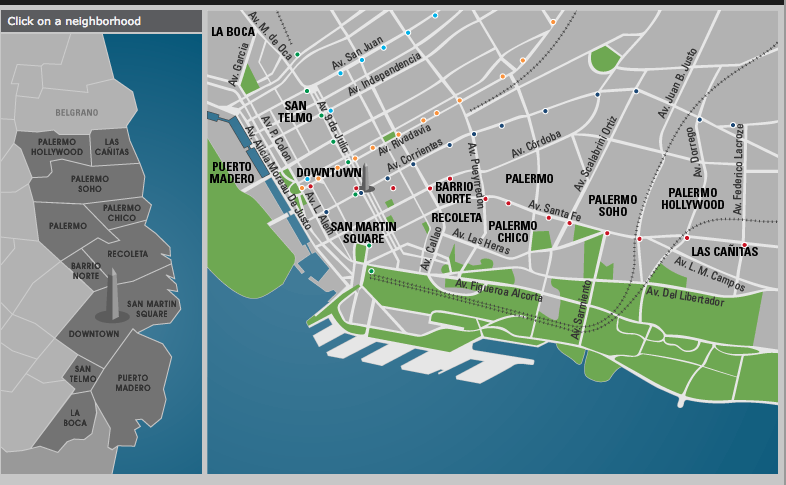 Massive Area spread through different parts – Palermo Hollywood (north of train tracks) Palermo Soho (south of train tracks) and Palermo Chico (closer to the water by the parks). Technically part of Palermo – outside of Palermo Hollywood. By the water. Bars, clubs, and parks. I’m going to begin with the different kinds of tours you can take in/from Buenos Aires, because you’ll want to plan these first. Tours give you a better orientation to the city or certain aspects of its culture and sights, and allow you to relax as everything is planned for you. What it is: The Tigre Delta is a massive and beautiful delta just outside the city. Buenos Aires is actually situated on the widest river in the world, the Rio de La Plata, between Argentina and Uruguay. This river actually comes all the way from Brazil/Paraguay, and fans out into a delta just before the Rio de La Plata. The delta was formed by an accumulation of sediments forming little islands, and in total in is a large, long triangle shape. 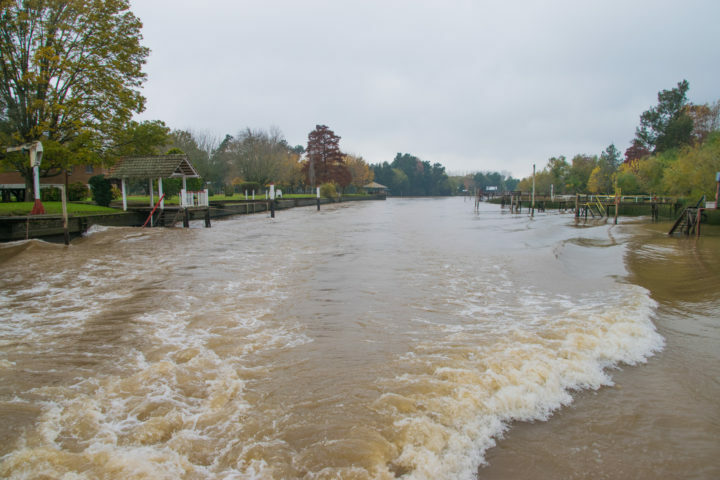 Why visit the Tigre Delta? Because its absolutely beautiful and gives you a great insight into this holiday destination for Portenos. See, Tigre became famous in the 40’s and 50’s when the rich went there for long weekends to sunbathe. People started building lovely homes along the tributaries of the delta, which are still there today. 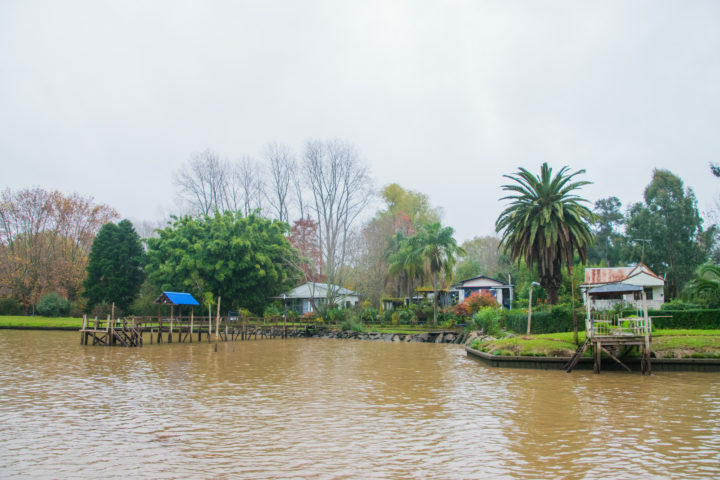 The houses along the delta are simply amazing, and truly feel like you’ve escaped the city into nature. The delta has lots of outdoor bars and beach clubs that get very busy in the summer, and the bustling town of Tigre is also worth a visit. It’s home to the first casino in Argentina, some incredible markets where you can truly find anything, fancy rowing clubs, and more. 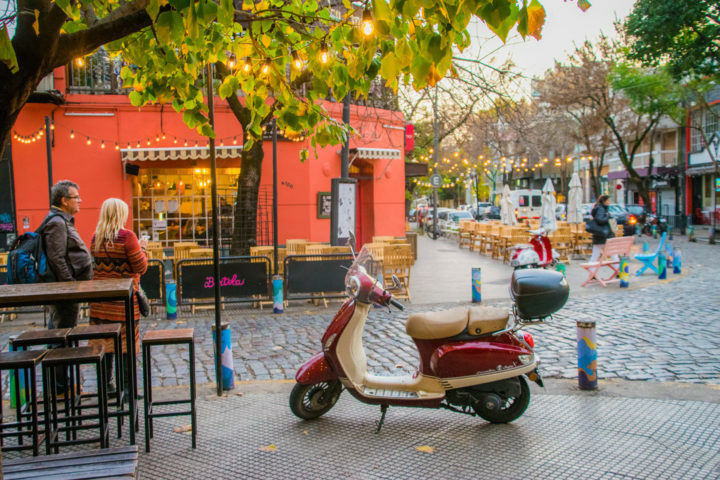 What it is: While in Buenos Aires, it’s imperative to try some Argentinian wine, and why not learn about how the wine intertwines with the history of the area? 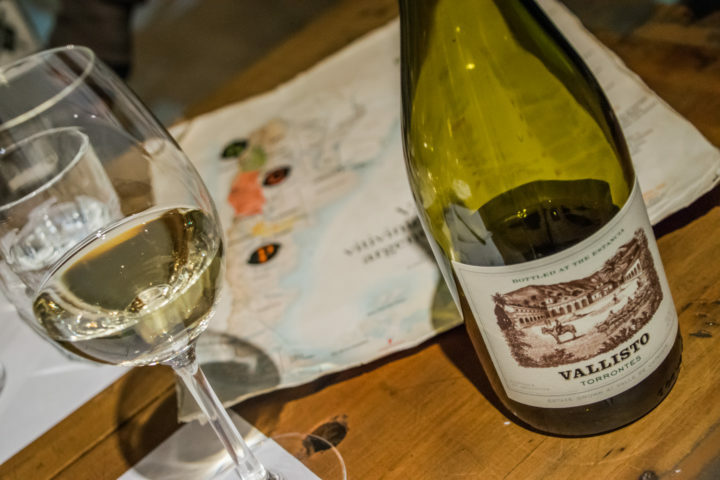 Urban Adventures Buenos Aires has crafted a tour that teaches you all about the city’s recent history all the while trying some local wine. This tour takes place at a few different venues in Palermo, which is a part of the city that really grew in the early 2000’s when Argentina was in an economic crisis, people were losing their jobs, and began to gather in the squares of Palermo to try and sell art and clothing. This area grew as an art and design center of the city, which used to be a design capital of the world before this economic crisis, with the most theaters in the world! The crisis sent people into an even more creative and expressive spiral, however, making the area the center of artists and small galleries it is today. 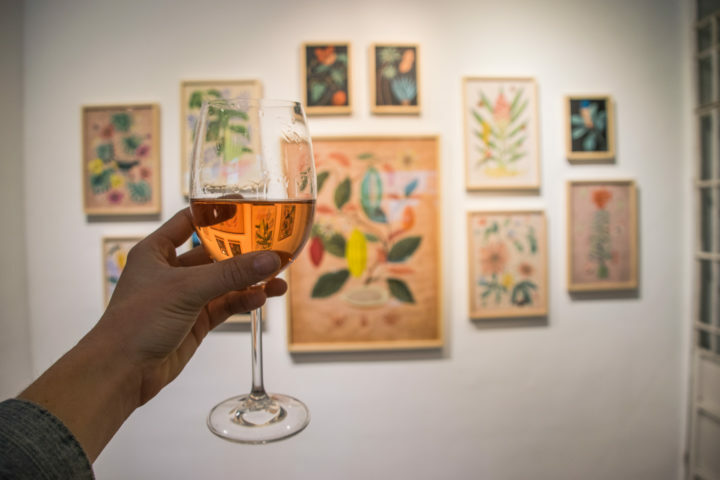 On this tour we first tried some rose in a lovely small art gallery, learning about the local artists. 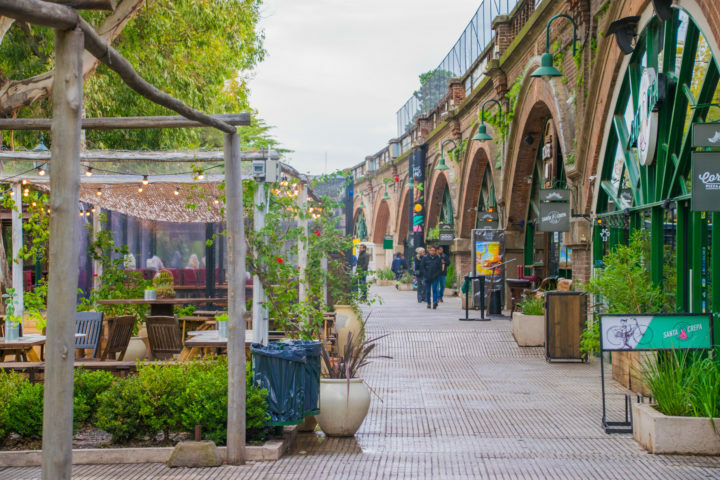 We tried all sorts of Argentinian wine in a trendy hole-in-the-wall wine cellar called Pan et Vin, and then we tried the classic Argentinian fernet and coke in an artsy Palermo rooftop bar. This tour happens in the evening from 6pm so it’s a perfect add-on to any other daytime activities! What is it: Biking Buenos Aires is 5-6 hour complete city tour on bikes. I have always said biking is the best way to get to know a city, and Buenos Aires proved no different. This awesome company gives you ALL the history and culture information during the tour, while making sure to experience authentic Argentinian traditions and places. I would recommend this in your first day in the city to orient yourself and get an idea of Buenos Aires as a whole. Read more about my experience biking Buenos Aires here! What it is: For those who don’t want to ride bikes around, there’s always the hop on hop off bus. This bus tells you little tidbits of history as you drive around all the main points of interest in the city. As touristy as they may seem, these busses really are the best way to see the most in the least amount of time, and with little physical effort too ;). I actually did both biking and the city bus, and liked them both in different ways. The routes are long, however, so make sure you give yourself an entire day to complete the entire city and have time to get off and explore, too! 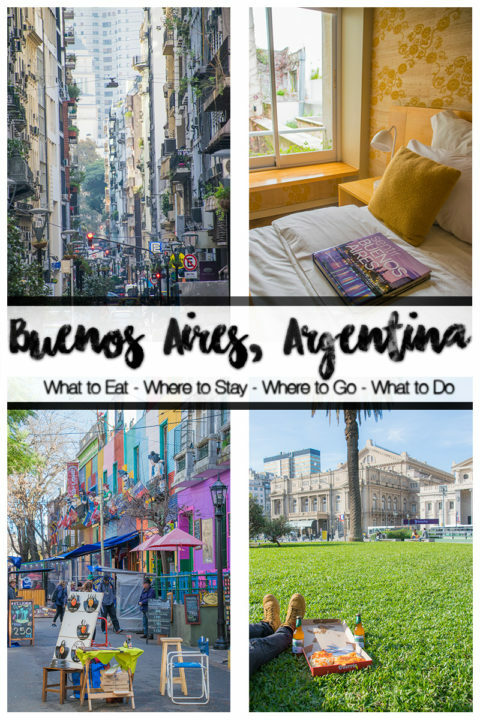 Check out Travel Buenos Aires for the best travel tips. If you want to get a bit fancy, you can even do a tour to go and play polo – yes, the kind where you ride horses and play with a stick – just outside the city. The tour comes with a real Argentinian BBQ and wine, and is good for all skill levels. One of the biggest things to do in Buenos Aires is to watch a real tango show. The city is known for tango, and many different amazing theaters in the city will have elegant tango shows at night. This is a great way to have a cultural experience and a peek into history at the same time. Just remember, shows will be later at night (10pmish) as everything is later here! If you don’t want to book a tour, you can head to a few places to try and catch Tango shows yourself. 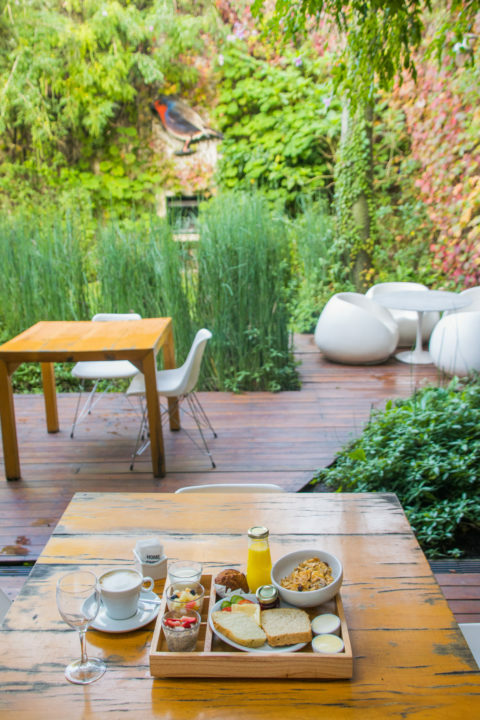 Check out: Salon Canning, La Catedral, or Cafe Tortoni. If you want to check out a massive part of Argentina culture, the Boca Juniors stadium tour might be for you. They call futbol the ‘national religion’ for a reason, and this is where it all goes down! If you’re around at the right time of year, you cal also check out a game! 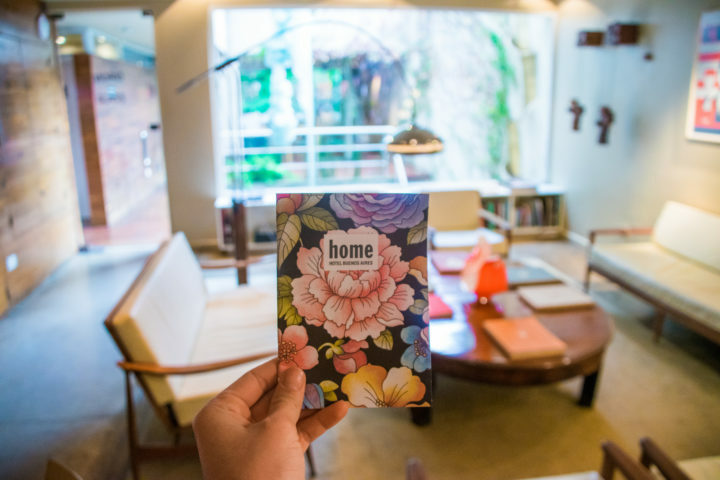 Home Hotel: I was graciously hosted by Home Hotel for a few nights of my time in Buenos Aires, and I could not speak more highly of the place. 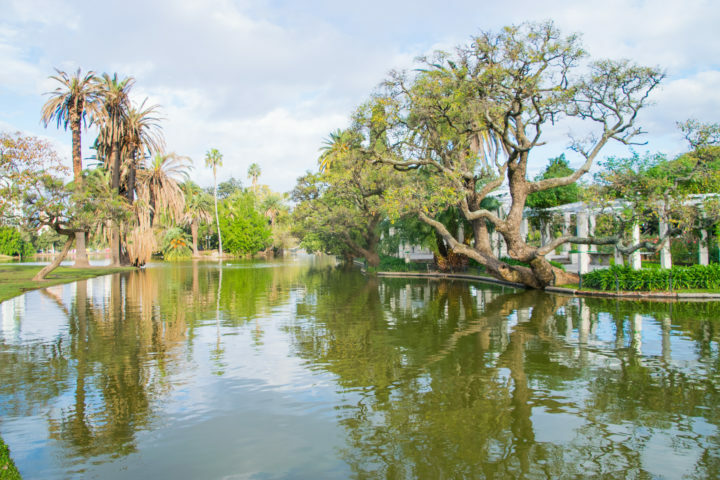 It’s situated very centrally in Palermo Hollywood, but it honestly seems that you’re walked through the door into another dimension of greenery, art, and relaxation… definitely not in the middle of a massive city. Home hotel is very aptly named because it really does give you the comfort of being at home. There’s a constant sound of trickling water from the fountains and cozy ambient music playing softly from the speakers. All the common areas have an abundance of interesting modern art, and the back garden looks as if it’s out of a magazine. There’s a little pool bordered by vine-covered walls and trees, and the whole area is overflowing with more green than in the whole rest of the city combined. The breakfast is simply to-die-for, the staff are attentive and gracious, and they even come by your room each evening with two cookies and a little weather forecast for the next day. The attention to detail is incredible… I want to go back! Other Buenos Aires Hotels: I didn’t stay in any others, but I know there’s an abundance of hotels for every kind of need. Compare hotel prices from all booking engines in Buenos Aires here. 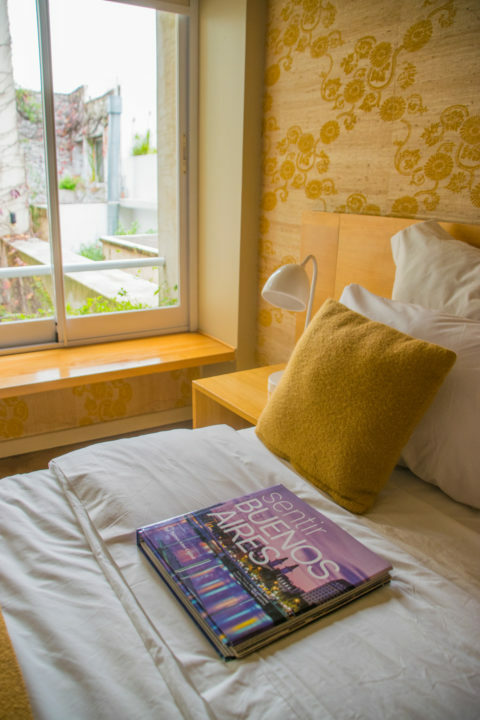 Airbnb: I stayed for a week in a lovely Airbnb in Palermo as well. There are lots of nice places, check them out! Milhouse Hostels – Milhouse Hostels (there are two, Milhouse Hipo and Milhouse Avenue, a few blocks away from each other) are known to be the party hostels of Buenos Aires. They work by having a party at each one on alternating nights. 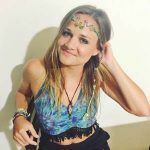 These hostels are cool and social, and have both daytime events and also, of course, organize nights out each night that begins with happy hours at the hostel bars. Breakfast isn’t included here. Rayuela Hostel: This hostel is much smaller and has a great community vibe and also group asado dinners quite often. In that it’s smaller it’s more social than, say, Milhouse. Puerto Limon hostel: Located in the heart of San Telmo, this is a great hostel with free breakfast and clean facilities. America del Sur Hostel Buenos Aires: This is a hotel-like massive hostel also in the heart of San Telmo, across from the amazing bar The Red Door (La Puerta Roja). Sabatico Traveler’s Hostel: Well-rated hostel in the Microcentro with a rooftop. Phew! 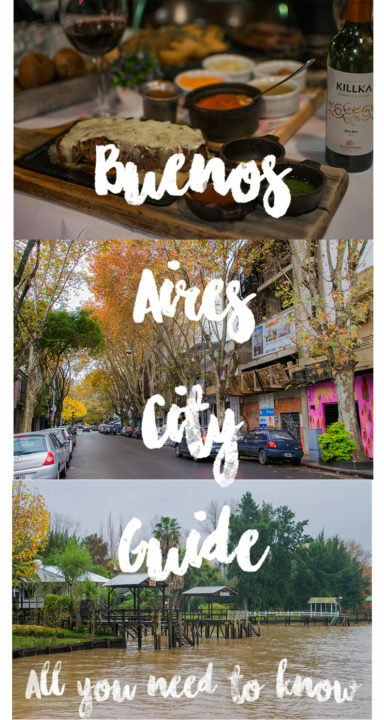 Now that you have a good idea of the different areas of the city, where to stay, and tours you can take, I’m going to break all of what to do in Buenos Aires down by category and let you know the places to go. For your own itinerary, you can group together the things you like to do by area are make an awesome jam-packed itinerary! Plaza de Mayo is the main square of town and a must-see while here. Bordering it are quite a few important buildings, including the pinkish Casa Rosada building where the president works, has meetings, and addresses the people when he is elected. You’ll find various significant historical statues, street vendors, and a bustling scene on any busy weekday. I have officially decided this park/square is my favorite and the most picturesque in the city. 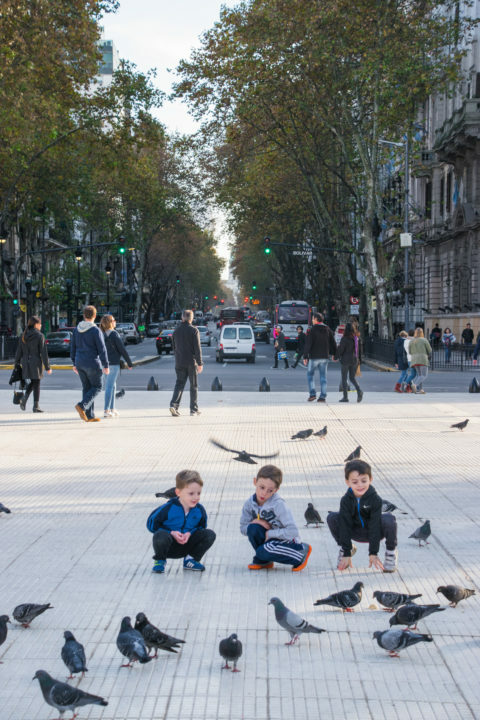 Bordered by Teatro Colon, the general courthouse, and many other very beautful buildings, and full of beautiful old trees and gardens, Plaza Lavalle is the most perfect spot for an afternoon picnic. 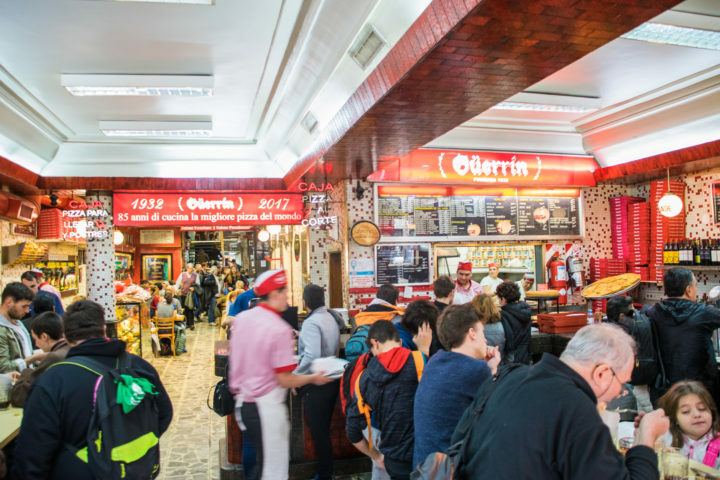 Grab some pizza from Pizzeria Guerrin (see below) and stop here for lunch after a tour of Teatro Colon. Here, you will find the main Federal government office building of Argentina – the Congress building, if you will. You will also find some famous architecture (like the Casa Fernanez Blanco) and lots of theaters. One of the only hills in the city, this park is a sight to behold because of its sweeping views of the busy city and massive monuments there. El Rosedal de Palermo – This is an area of gardens and lakes that is lovely for a peaceful getaway from the busy city. Also great for sunset. Jardines Japones – The Japanese gardens are a stunning must-see in the city. Jardin Botanico Carlos Thays – Palermo also houses botanical gardens. Across from the little bay in Puerto Madero, there’s an ecological reserve with trails you can walk/bike on a nice sunny day. This is a large green park south of San Telmo that often houses a massive market. 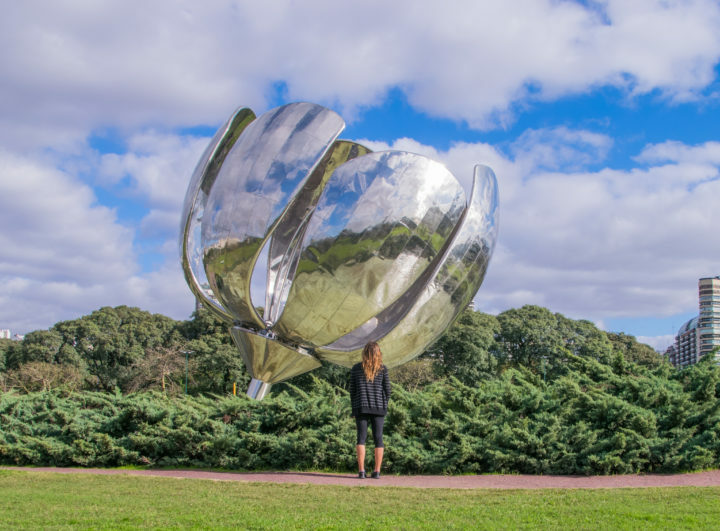 This incredible sculpture is an icon of Buenos Aires and another must-see in the city. It’s a massive flower made from reflective materials and was actually made by the same designer as the Chicago bean. It’s housed in a big park with comfortable chairs throughout – perfect for an afternoon nap in the park, which many Argentinians actually do. 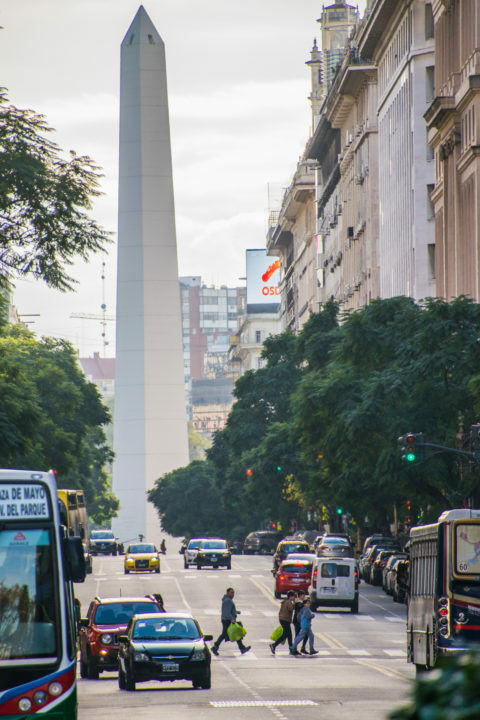 The obelisco could be considered one of the most central parts of town. It’s situated on what is actually the widest street in the world (you’ll see what I mean), and is about half way between Plaza de Mayo and the Congress building. There’s a huge BA sign to take a photo with, and the street is lined with classic European style Buenos Aires buildings. Now, I found it strange at first that a cemetery would be a tourist attraction, but when you see this place you will understand. 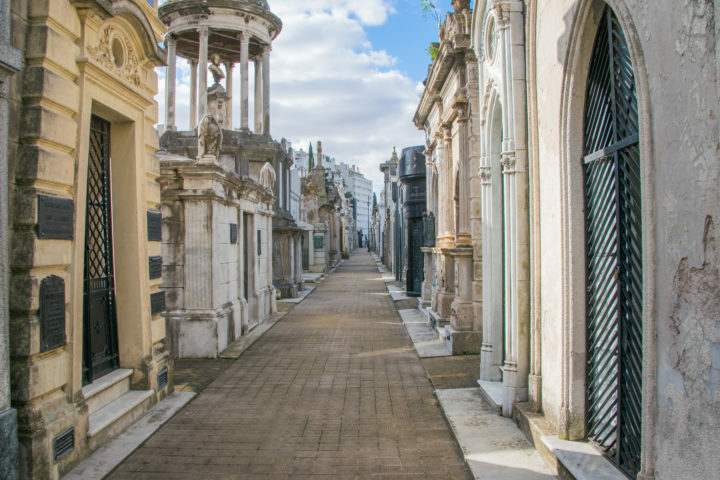 The Recoleta cemetery is known for having the highest concentration of sculptures in the world, and some of the most incredible and adorned mausoleums in the world. You’ll forget you’re walking by actual graves as you gape at these incredible, fancy mini-mansions housing the richest of Argentina. As I mentioned above, Caminito a La Boca used to be for immigrants but has grown into a cultural and artistic center of the city. It’s known for its colorful buildings and lively character, and is a wonderful place to spend the day taking photos in tango clothes and looking through the markets. Be careful not to wander too far, though, some areas are still not the safest. It has had some turbulent history, but Buenos Aires actually used to be one of the design capitals of the world and the place with the highest concentration of theaters in the world! Teatro Colon is the best example of this increadible theater region. It’s in the microcentro near the obelisko, and you can take tours of its elegant architecture for about 400 pesos. This spaceship-looking planetarium is snack dab in the middle of Palermo’s grassy parks. Apart from its interesting design, it has astronomy shows each day to check out as well. This is a higher end outdoor outlet mall. There are lots of smaller stands throughout, selling everything from crepes to ice cream to homemade crafts, and if nothing else it’s a great place to wander around. Floride street is the pedestrian street that crosses the Microcentro from north to south. It is home to both lots of brand name shopping, and also cheaper nameless stores that sell a lot of similar things for cheap. There are tons of eateries, street vendors, and cafe’s, and generally just tons going on. 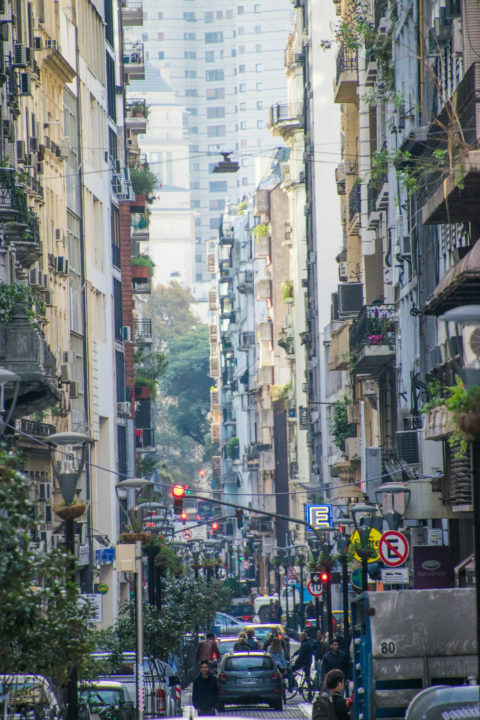 Even if you don’t want to shop, walking down Floride Street is a must when asking what to do in Buenos Aires! 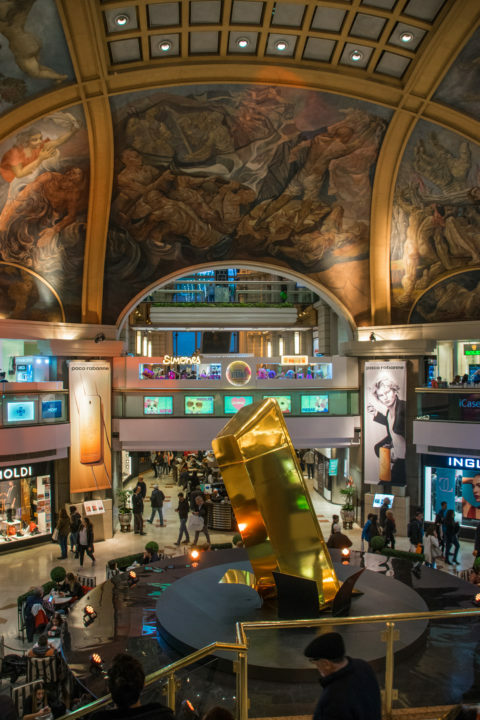 This is a beautiful shopping mall in the microcentro that looks like it might have been imported from Italy in the 1600’s. Tere are tons of different kinds of shops and also beautifully decorated arches and high ceilings. 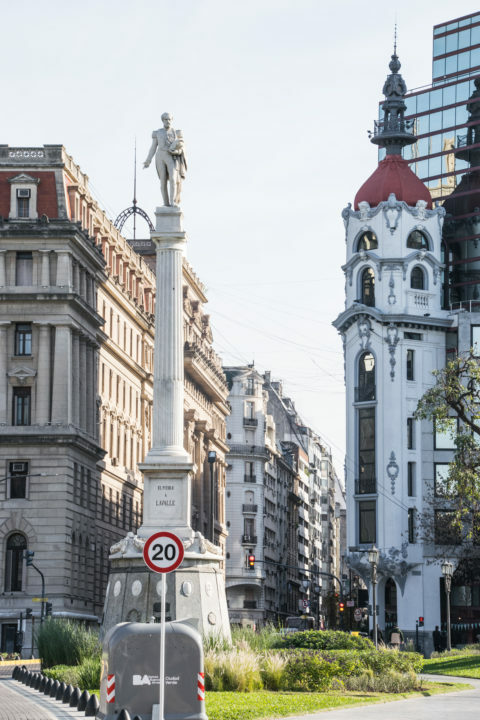 Recoleta is home to most expensive shopping street in the city, with all the fancy brands – you know the ones. There’s also a large mall next to the cemetery. This takes place on Sundays, and is easily the biggest market in the city that is frequented by tourists and locals alike. It’s massive and sprawls across the streets of San Telmo. Belgrano is a more residential neighborhood north of Palermo, and is equally beautiful to walk around and shop. 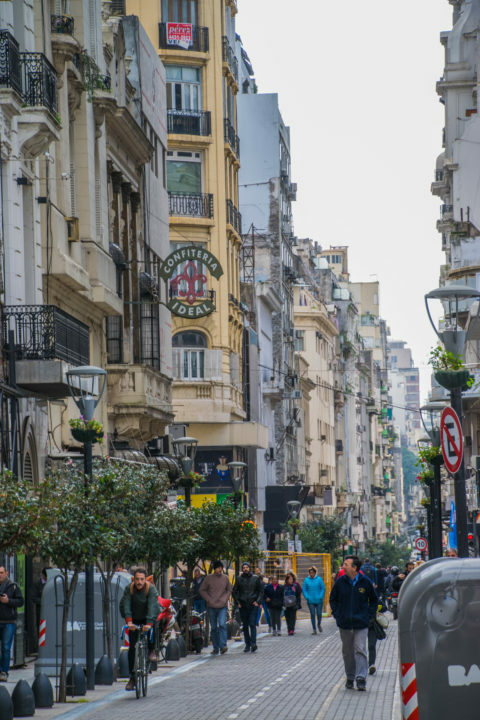 The most well-known shopping street is Calle Cabildo, where you’ll find big malls and also shops lining the street. Buenos Aires nightlife is completely alive and thriving. They really do know how to have a proper night out here. Like I mentioned above, nights out here are no joke – you don’t head to the first bar until around 1am, and clubs begin around 3am. Getting home after the sunrise is simply a normal night out. Let’s be real – if its not light when you get home, you’re doing it wrong. This area is home to cafes and restaurants during the day, and bars that come alive at night time. It’s right on the edge of the Palermo parks, and each venue is under a massive brick arch as if it was a subway/train station repurposed. It’s super trendy and all in all a very nice space. Palermo is one of the best bar areas to grab a few drinks. Palermo Soho and Palermo Hollywood have a similar vibe of cobblestone streets and outdoor patios serving craft beers and playing trendy music. San Telmo is full of dive bars and eateries that often come in one, order-at-the-counter package. Floreria Atlantico (Retiro/Recoleta) – this is a speakeasy in Retiro where you enter through a flower shop and head downstairs to a packed cocktail bar. Uptown (Palermo Hollywood) – this is a list-only speakeasy designed like a NY Subway station. Ask your hotel to get you on the list – Home Hotel was able to help! You guys know how much I love my music (as I blog about festivals all over the world, too!) and tend towards house + techno/electronic music, but I do like it all. I stumbled upon quite a few different types of venues during my trip, and heard about many more, which I will share with you here. This museum would be perfect to combine with a visit to the Rosedal Gardens, as it is right next door! It’s a municipal art museum featuring art from Argentine artists. Yes, there is a whole museum dedicated to the Argentinian political icon, Evita Peron. She is famous for helping out the poor people and famously swaying her president husband’s views on things. Because of her help to the poor, she is famously hated in tricher parts of the city and loved in poorer districts. 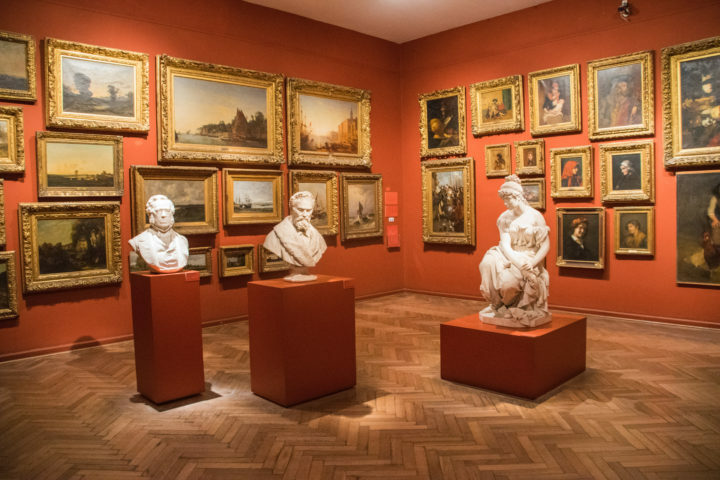 This museum in Recoleta is where all the fine art is housed. Think, renaissance art pieces, massive detailed old paintings with fancy frames, depictions of triumph and war, old sculptures and cutlery, and that sort of thing. Clearly fine art isn’t really my forte, but at least I went inside and tried. So, I actually really loved MALBA, and that’s saying something. I went after a night out and was dreading a museum, but this spot is actually VERY manageable (there are only a few floors with a few exhibits each – not 5-6 hours worth like many museums). It’s a bite-sized museum with, in my opinion, very interesting and thought-provoking modern art and photography. Highly recommended. I was a damn lucky girl eating the best Parilla steak in Buenos Aires at La Cabrera. Just LOOK at that meal!! There are a few foods and drinks you MUST try in Buenos Aires. First of all, Argentina is famous for having incredible steaks, or parillas. Another typical quick food you will find everywhere are empanadas, and milanesas are also a classic Argentinian schnitzel-like meal. 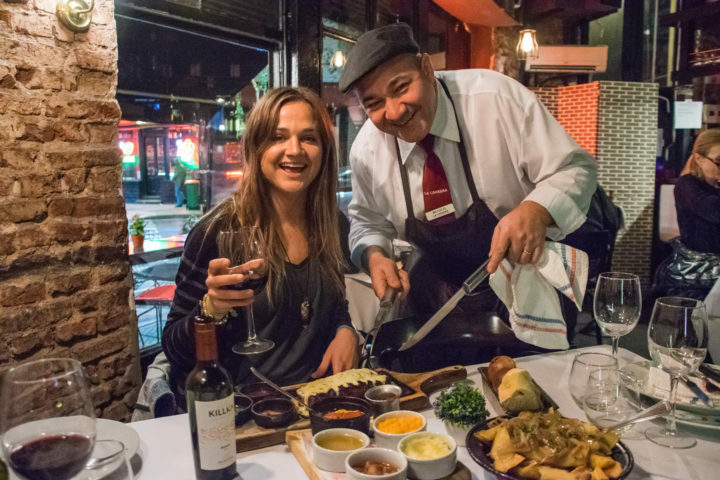 Perhaps even more famous is trying an asado dinner, which is basically an overarching term for all kinds of yummy meats cooked over hot coals – very Argentinian and delicious if you are a meat lover! You’ll see Lomo Sandwiches all over the place which are basically yummy meat/steak sandwiches. You cannot leave without trying dulce de leche, a caramel-like cream they have on bread at breakfast and in all sorts of sweets, and alfajores, a type of cookie made by covering two cookies with dulce de leche in the middle with chocolate. They have cheap alfajores at every kiosk, but there are some that are better than others. I just tried them all. 😛 They also have amazing ice cream in Buenos Aires. As far as drinks go, trying Argentinian wine is a must. Malbec is probably the most famous wine of the country, and Torrontes and Bonarda are good as well. Having a Fernet + Coke is also a must here. Fernet is an Italian herbal digestive liquor that is actually consumed most in Argentina. It’s a futbol game tradition to drink it with coca cola! Lastly, you will notice anyone and everyone with tiny little gourds in their hand, with a thermos tucked under their shoulder. They’re drinking mate, a tea that is extremely popular in this part of the world. It’s classically shared among friends in a circle (and there are lots of other mate rules I won’t go into just yet). See if you can find someone to share a mate with – it’s an important Argentinian cultural experience that you can’t usually find from a store. Somehow, there are TONS of amazing burgers in Buenos Aires. It swept through as a fad, and together with craft beer took over the city. This place was SOOOO good. Burgers, Tacos, and meat is their thing, and I can’t decide if the burger or the taco was better. It’s a classic San Telmo restaurant where you order and pay at the counter and sit wherever, also blastic rock music of course. Apparently this place was once awarded as one of the top burger joints in the world. Although not super creative with their name, their burgers are extremely creative and delicious. Pair it with a craft beer, as you do in Palermo. Caballito wasn’t on my main list of must-see places, as it’s more residential. But if you do go, make it to try this burger. It’s probably the best in Buenos Aires, and has a line out the door most days but it will be worth it for any burger lover. This is also in Caballito, a few blocks from La Birra and is also usually quite crowded. They have 10+ different burgers, from the classic to other interesting variations. Another amazing burger place. Why, Buenos Aires? How?! Another shot from La Cabrera, because WOW. 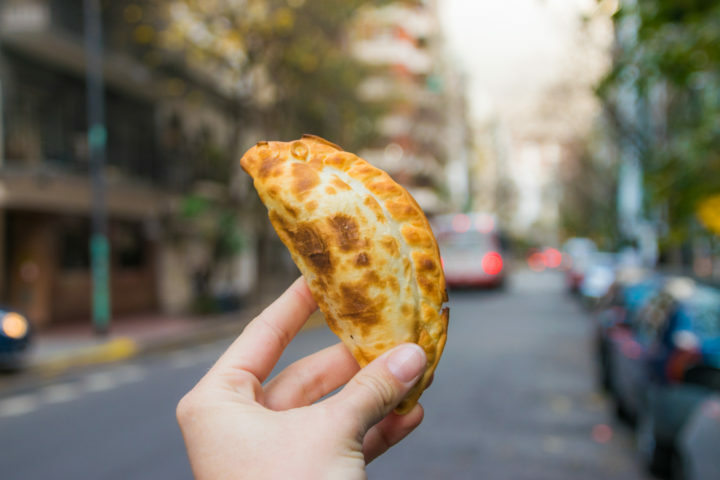 There are quite a few famous places to get a parilla, but thanks to Travel Buenos Aires, I went all out and tried the best of the best. 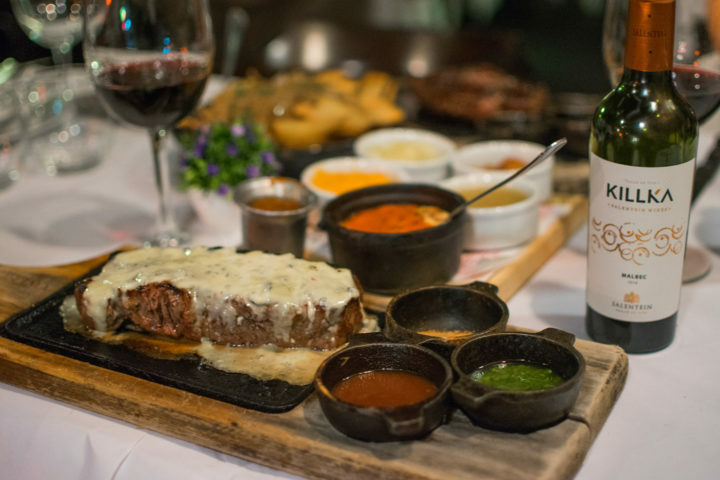 La Cabrera (Palermo) is famous for having the best Argentinian Parilla steak. 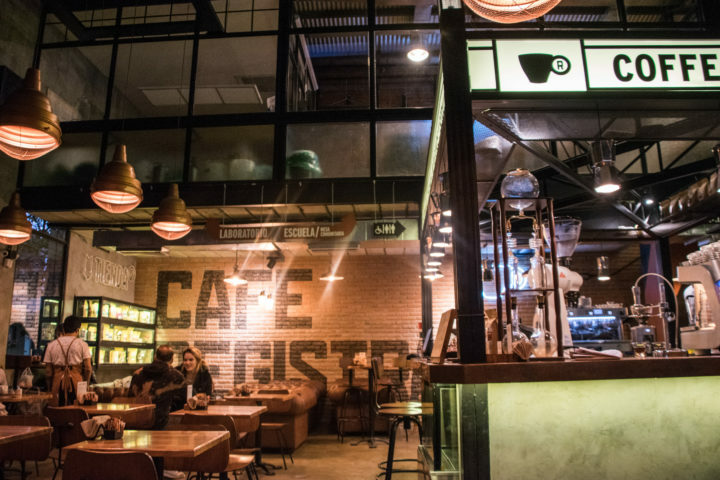 It’s located in San Telmo, and is more of an entire culinary experience than just a sit-down dinner. Their nemu is full of dozens of steaks (I had no idea where to begin!) and they’re served with 6-7 kinds of different side dishes and condiments. You obviously must pair it with some Argentinian Malbec, and save room for a scrumptious dessert afterwards. This will be a splurge, but you might as well go all out when you splurge, right?! Did you know that some people would say Buenos Aires has the best pizza in the world?? That’s right – with a massive population of italian immigrants and it’s own special flare, you’ll find pizza galore in Buenos Aires. Traditionally, pizza here is more comparable to deep-dish than its thinner crust Italian counterpart (although there are restaurants that serve those, too), and you’ll find that Argentinian pizza is thick, bready, piled on with cheese, and rich. Pizzeria Guerrin (Microcentro) – This is known to be the best pizza in town. It’s got a busy bustlin atmosphere and tables where you stand up to eat. Lots of the other very Argentinian pizzerias will be found on the same street as Guerrin. Siamo nel Forno (Palermo) – This pizzeria is known to have the best Italian-style pizza in town. They have daily specials and keep their pizzas simple and true to their roots. They come thin and are eaten with a knife and fork. La Puerta Roja (San Telmo) – Two words: nachos and beers. Actually, wait, four more words: all day happy hour. Yep, you heard that right! This place has no signage but is marked by a big red door, as its name suggests. It’ s a classic San Telmo joint with loud rock music and order-at-the-counter service. Tegui (Palermo Hollywood) – If you’re in for a splurge, this place was ranked as the best restaurant in Argentina for quitea few years running. Side note: empanadas are also amazing in this city and can be bought from most roadside cafes and kiosks! this one set me back about the equivalent of 50c. I thought I knew about dulce de leche, until I came here. Little did I know that there are MANY different ways to make dulce de leche (from cow’s milk, sheep’s milk, goat’s milk…) and that there are MANY different kinds, some higher-end than others. This shop is full of DOZENS of different kinds of dulce de leche – including dulce de leche liquer, sugarfree/Splenda dulce de leche, extra-fancy dulce de leche, and honey – AND YOU CAN SAMPLE THEM ALL. You’re welcome. Enjoy it. So Rapa Nui’s real home in in Bariloche, Argentina – I go into detail in my two week northern Patagonia itinerary, but all you need to know is that this is the benchmark chocolate store of Argentina. It’s like the Harrod’s of chocolate, and you can get chocolate everything. It’s amazing. The trendy coffee spot is right in the middle of Palermo Hollywood and offers a huge slection of freshly roasted coffees and pastries – with wifi! This was a super amazing fancy cafe thay had ALL different kinds of amazing coffee. I couldn’t believe my taste buds at my first sip of some kind of incredible iced latte sorcery they had concocted. They have wifi too. This place was recommended to me by a quite few people. Great food, great pastries, and stays true to good coffee as well. Cafe Tortoni will be on any Buenos Aires Guide in that it’s rich in history. It was first founded in 1858, and going inside is like walking through a time capsule. They have tango each night as well – see if you can get a spot to watch with dinner! You didn’t think I was going to end my city guide without my classic category, did you?! Buenos Aires isn’t a particularly great place for the sunset, as it faces the water to the north. But if you angle it right, you can catch some great sunsets – as any sunset lover would do! Time your trip to Rosedl Gardens right, and you can catch the sunset reflection over the water in one of the many little lakes in the park. 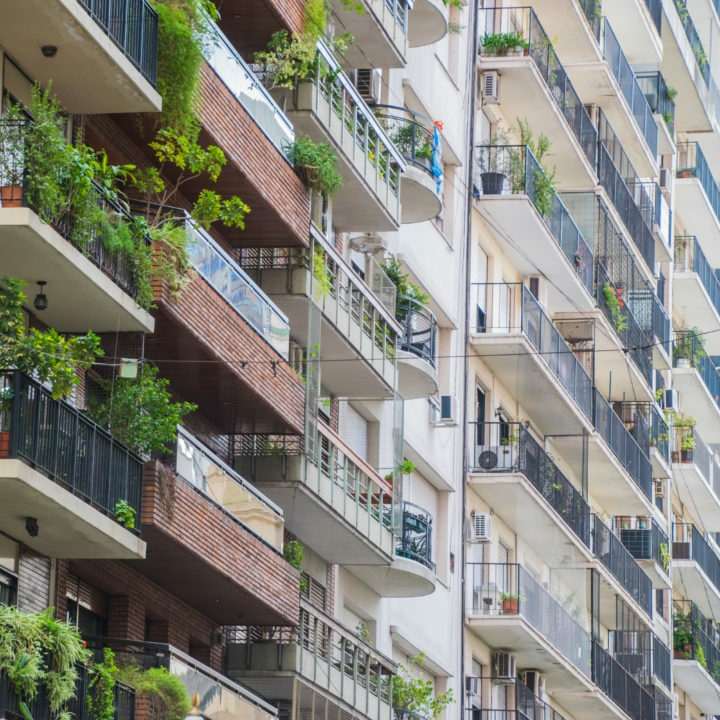 Buenos Aires has plenty of rooftop and balcony bars and restaurants, and tons of apartment buildings (if you rent an airbnb) will have accessible rooftops and even pools. Head to one of these for a sunset over the city. Are you going to Buenos Aires? Have you been? Have any questions of comments about my guide? Let me know in the comments! 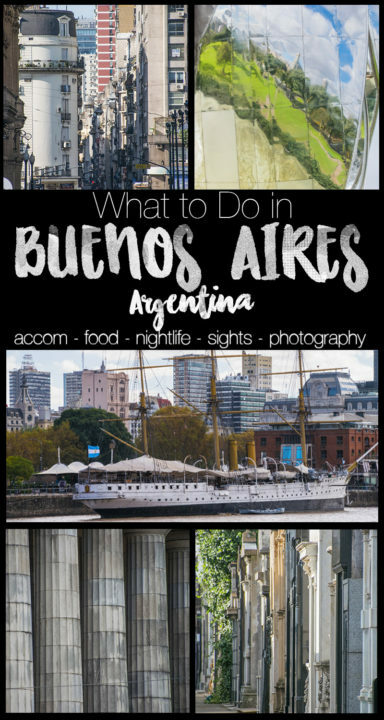 Don’t forget to PIN this guide so you never forget what to do in Buenos Aires! Thank you to Home Hotel, Signature Tours, Urban Adventures BA, and Buenos Aires Tourism for hosting me on various parts of my adventures. I had an amazing time experiencing all facets of this city, and all words are my own! I love love love this post! Argentina, and Buenos Aires is high on my list, so I enjoyed reading more. I always read about La Boca, so it was nice to read about the other places too. It’s great you shared your tips on keeping safe there. I love the sound of the plazas and parques; they sound so authentic and I could see myself spending plenty of time there. Thank you so so much!! I definitely tried to give a well-rounded and comprehensive view of this amazing city. And the parques are perfect for afternoon picnics and sightseeing! You’ll love it when you make it here! Wow! 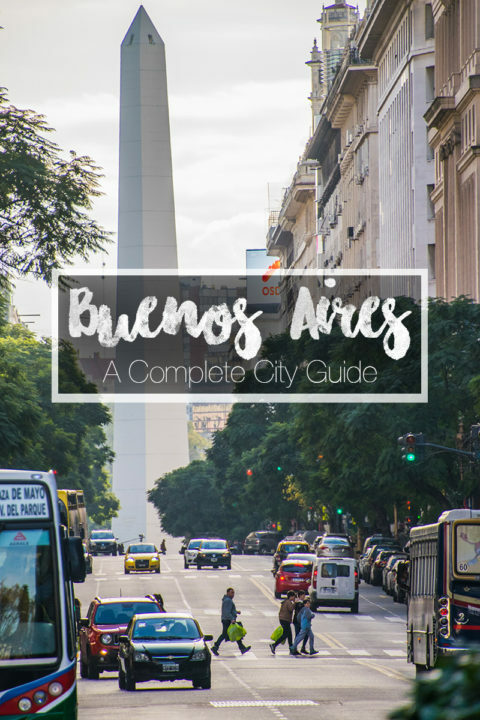 I had no idea that there is so much to see and do in Buenos Aires. Your article is very informative and would be useful for first-time visitors. I think I would love to explore the city via a bike tour and then head to the Palermo Chico area. It looks like a lovely place for an evening walk and some bar hopping! Thanks so much!!! Yes, there’s SO much to do and see! That would be a perfect plan – it’s great to get a comprehensive idea of the city first, and then zone in on what you like best! It’s a beautiful area! What a comprehensive post. I’m hoping to visit Argentina in the near future and this is very helpful. I had no idea that pizza was so good in Buenos Aires, but I love pizza so I’m happy to hear that. I’m also very interested to see the Museo de las Bellas Artes. Thanks for the great information. I’m so glad you found it useful!! You will definitely LOVE the pizza and the museums are great too! hahaha , I know right?! It takes some getting used to! And yeah it a good thing to be aware of! Thanks! I didn’t know Buenos Aires has so much to offer! I Always thought this city wasn’t that special, but reading your extensive and detailed article makes me want to go! I love to read about all the things to do and places to visit. Thank you for making me enthousiastic! I’m going to pin this for when I’m planning a trip to Buenos Aires. Ohhh yes YES it does!! I’m so glad I could put it back on your radar – it’s truly amazing! Thanks for reading! Wow, there is so much great information here! I’d love to visit Buenos Aires someday. It seems like such an interesting city. Definitely pinning this for later reference! Thank you so much! I tried to make sure it was totally jam-packed. Hope you can visit one day – you’d love this city!